As an Authorized Dealer for KONICA MINOLTA, KYOCERA COPYSTAR, HP / SAMSUNG, KIP WIDE FORMAT PRINTERS and SCANNERS, PANASONIC and BROTHER copiers and fax equipment, an Authorized Repair and Service Center for Brother, Samsung, FELLOWES and INTIMUS product line, all of our in-house and on-site technicians are factory trained. When you choose ALL STATE BUSINESS SYSTEMS, you can feel confident that you have made the right choice. Whether you need a new copier, fax, printer, paper shredder or just looking to service the one you already have, we will help you solve your business equipment needs. 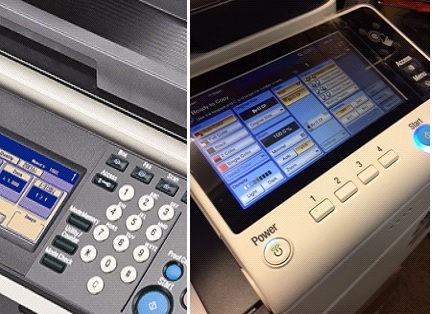 Also for your convenience, we provide supplies for most major brand copiers, printers and faxes. We’re proud of our reputation and we know that we’ve built it one satisfied customer at a time. Our business hours are Monday to Friday 9 a.m. to 5 p.m. serving Dutchess, Ulster, Orange, Westchester, Bronx and surrounding counties. PROUD SUPPORTER OF 2017 FAMILY SERVICES WALK A MILE IN HER SHOES. Scan with your mobile device to view our website on the go.